Weekend Historical Happenings: 9/14/13 - 9/15/13 ~ The History Girl! Come out and experience the thrill of the dig for a day of historical discovery at Morven Museum & Garden in Princeton! Hunter Research is currently conducting an archaeological study of Morven's grounds in pursuit of clues to Morven's past. Join Hunter Research's archaeologists for a tour of the current site and assist in the process of excavating artifacts from Morven's past and MORE! Individuals and families are welcome. Children must be accompanied by a participating adult. Please wear close-toed shoes and comfortable clothes! Children and adults alike will delight in the experience of handling, cleaning, and studying artifacts found on the Morven grounds at a workstation at the Carriage house. Scheduled tours: 9:30 am, 11:30 am, 1:30 pm, and 3:00 pm (no reservation required but space is limited for each tour). Join archaeologists on a tour of various workstations set up on the property and learn about the methods used and what they have discovered during their excavation of the historic Morven grounds. Reservation required and space is limited. Call 609-924-8144 x106 or e-mail msheridan@morven.org to sign up. Visitors (ages 16+) are invited to register ahead for an hour-long program working side by side with the archaeologists learning first-hand techniques for excavating a historical site. This event is free and free parking is available at Morven. Morven Museum & Gardens is located at 55 Stockton St, Princeton, NJ. For more information, please visit www.morven.org. Visit the Museum of Early Trades & Crafts for lots of family fun and a craft activity on Saturday from 1:00 - 3:00 pm. Advance registration recommended, call 973-377-2982 x12. Regular Admission. Regular Museum admission is $5.00 for adults, $3.00 for seniors, students & children (ages 6 and older), and free for members and children under 6. Family maximum admission $13.00. At 2:00 pm, join Robert Garman as he gives a tour of Hillside Cemetery in Madison, NJ with a focus on the Civil War. Please meet at the cemetery, 158 Main Street, Madison, NJ. Advance registration recommended. Please call 973-377-2982 x13. Admission $10 for non-members and $5 for members (includes museum admission). The Museum is open Tuesday - Saturday 10:00 am to 4:00 pm and Sunday 12:00 noon to 5:00 pm. The Museum of Early Trades & Crafts is located at 9 Main Street in Madison, NJ just two blocks from the Madison train station. For information, please call 973-377-2982 x10 or visit www.metc.org. Attend a concert on Saturday at 3:00 pm at the Historic Jersey City & Harsimus Cemetery. "Susan Murphy & Mario Giacalone In Concert" with special Guest Jenna Sofia. The creators of Girl/Group: A Daughter's Tale reunite for an afternoon of solos, duets, and trios. This is a benefit to help the ongoing restoration of the all-volunteer operated historic site. The Jersey City & Harsimus Cemetery is located at 435 Newark Avenue, Jersey City, NJ. Suggested admission: $10 donation. For more information, visit www.jerseycitycemetery.org. On Saturday, the Ewing Township Historic Preservation Society will hold their annual Flea Market and Fall Mum Sale from 8:00 am - 1:00 pm at the historic Benjamin Temple Farmhouse / Drake Farm Park, 27 Federal City Road, Ewing, NJ. Come shop for bargains galore! Get your house ready for fall with our large selection of colorful fall mums for sale! For more information, e-mail info@ethps.org, call 609-883-2455 or visit www.ethps.org. It’s the end of summer and the crops are bountiful. It’s time to “put Tp” some food. At Howell Living History Farm, you can help. The farm will be the site of a canning and cooking program held on Saturday from 10:00 am - 4:00 pm. Not only can you learn how to can and pickle your garden favorites...but you can sample some of the treats! Come visit Waterloo Village between 11:00 am and 5:00 pm for a day in this historic Morris Canal town. Enjoy boat rides on the Morris Canal, Smith's Store - a furnished canal-era store with hands-on activities, blacksmithing, see the operating gristmill, guided tours of 1859 Methodist Church, the Canal Museum - with exhibits and videos, guided walking tours of the village, and the Long Hill String Band. Admission is free. Waterloo Village is located at 525 Waterloo Road, Byram, NJ. For more information, call 973-292-2755 or visit www.canalsocietynj.org. 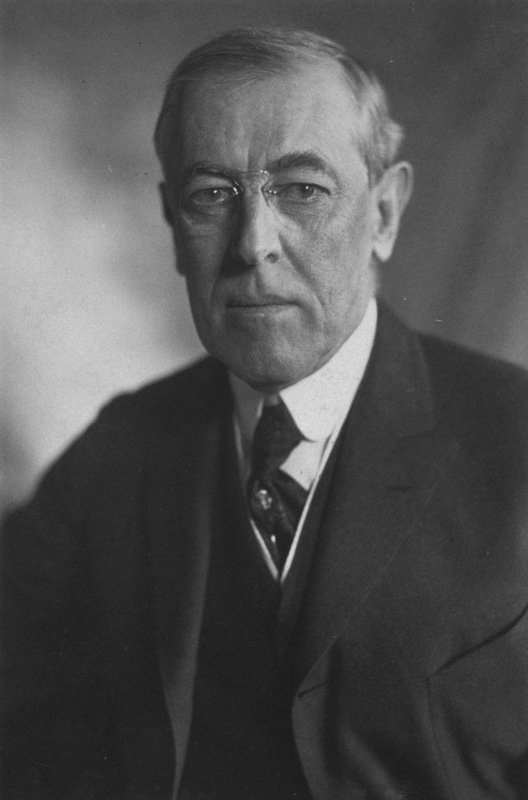 The Historical Society of Princeton is celebrating the release of Princeton alum A. Scott Berg's biography on Woodrow Wilson with a walking tour of places in the community that were a part of Wilson's life in Princeton. The tour guide will use these buildings and houses as focal points in a narrative on the influences of Wilson's early life and education that shaped his character, ambitions and goals for his time as President of the United States. On Saturday afternoon from 1:00 - 3:00 pm, the Washington Crossing Revolutionary War Round Table will meet with the topic "Whale Boat Privateers William Mariner and Adam Hyler" to be led by Stanley Saperstein. All are welcome to attend this informative session about these Revolutionary War privateers who operated out of the Raritan Bay. The meeting and discussion are held in the auditorium of the David Library, River Road, Washington Crossing, PA. The Washington Crossing Revolutionary War Round Table is sponsored by the Swan Historical Foundation and the Princeton-Cranbury Chapter of the Sons of the American Revolution and is coordinated by Joseph Seliga. The Civil War comes to life on Saturday and Sunday from 10:00 am - 4:30 pm. at Historic Cold Spring Village. Visitors can tour Union and Confederate camps and meet authentically clad and equipped military and civilian reenactors who will discuss the everyday lives of Civil War soldiers and the roles civilians played in supporting them. Historian Mike Kochan, who played a vital role in the recovery of the Confederate submarine H.L. Hunley in 2000, will have a display of Civil War-era naval and telegraph technology. Educator and weapons expert Jack Meyers will be in the Village Welcome Center with a large display of Civil War-era firearms. Stirring battle reenactments will occur both days at 2:00 pm, and vendors of reproduction period merchandise will be found on “Sutler’s Row.” The Village, which recreates a rural community in the 1800s, serves as the perfect backdrop in presenting this event to the public, which is generously sponsored by The CapeBank Foundation. On Sunday at 2:30 pm, Sid Frank will present his unique program entitled, “Death of the Fighting Parson” about the murder of Rev. 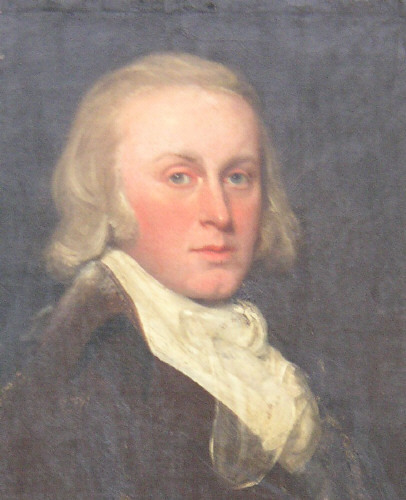 James Caldwell, a hero of the American Revolution. Mr. Frank has been a museum educator and tour guide at Liberty Hall Museum in Union since 2002. Earlier in his professional career, he was a journalist, a song writer, and a playwright. Mr. Frank was inspired to create his current presentation by the poem, “Caldwell of Springfield,” by the noted American poet, Bret Harte, who spent time in Morristown in 1871 and learned of Rev. Caldwell there. Mr. Frank’s program will be part of the monthly meeting of the Union Township Historical Society, which begins at 2:00 pm. Non-members are cordially invited to attend. Refreshments will be served. Admission is free; donations are greatly appreciated. The Caldwell Parsonage is located at 909 Caldwell Avenue, Union, NJ. For more information, call Barbara La Mort at 908-687-0048 or visit www.uniontwphistoricalsociety.webs.com.